Creating an essential after an essential, could such a thing be imaginable? Well now, read on because Chelsea Wolfe is on fire! 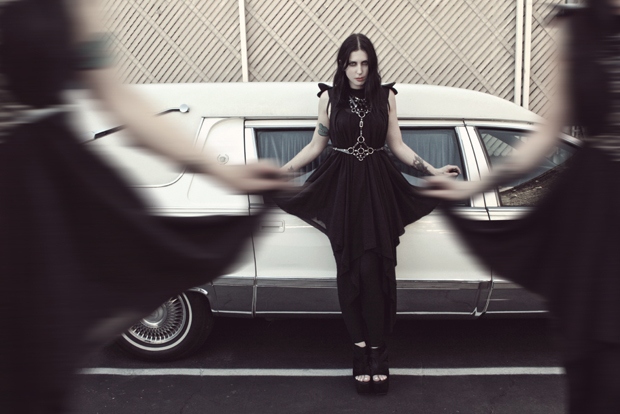 Although Chelsea Wolfe is just 34 years old you could consider her as a modern veteran in the alternative rock scene. This year Wolfe released her sixth official full-length album Hiss Spun. As the daughter of from a country musician father she was introduced to songwriting from an early age on and never shunned the experiment. With Unknown Rooms (2012) as an exception all of her previous albums are mixtures of several heavy styles. On her first two albums heavy metal was blended with folk, while on her later work drone, industrial and gothic also made the final cuts. For Hiss Spun Wolfe collaborates with Converge’s guitarist/producer Kurt Ballou. Wolfe worked with Converge in a collective that only performed four times in Europe with ambient/post-rock interpretations. On the new album Wolfe and her band dive head first into the genre of sludge metal, a melodic form of sludge metal that is. Wolfe’s soprano vocal range of course is the main reason for these variations but Ballou’s and fellow band member, Ben Chisholm, influence are also directly noticeable. Hiss Spun’ s 12 tracks are a feast for sound manipulations enthusiasts in with Ballou and Chisholm found the precise focal point to create the perfect formula of subdued noise. Opening track ‘Spun’ to me is the best opening track track I heard throughout the year. The slow and deep riff on which the track is built is shredded by Wolfe’s almost howling voice. It’s haunting in so many ways. I just don’t want it to end and fortunately for me it doesn’t. ‘16 Psyche’, is somewhat faster and more symfonic but still is just as mindblowing. In ‘Vex’ the tempo is taken up a bit. Here guitar distortion and the deep roaring of Aaron Turner bring Hiss Spun on the path of more traditional metal. After a short interlude this path is left for a truly excelling midsection in which elements of doom, drone and rock scour upon each other. Highlights here are ‘The Culling’ in which Wolfe versatility puts up a soft R&B-like voice that is boxed in echoes and strong walls of distortion. It’s provocative and moreover very strange, especially when halfway through the songs turns into a minor key doomy funeral march. On the six-minute ‘Twin Fawn’ Wolfe returns to her debut years. Folky spine-tingling guitar and a brittle voiced Wolfe are crushed under heavy guitars during the chorus. There is nothing new on the horizon here, it’s still nice enough on its own but also takes a minute or two too long. A more direct approach to sludge metal, like Dax Riggs did on ‘Say Goodnight To the World’ (2010) or ‘We Sing of Only Blood or Love’ (2007) would be stronger here. ‘Offering’ and ‘Static Hum’ move the chains on Hiss Spun again, this time towards a looming but catchy form of darkwave. Wolfe’s shifts here voice to a textured tenderness in order to counterbalance the dark outline of the music. As the album comes to an end I can’t escape the feeling Wolfe resembles the emotionally rich yet pitch dark PJ Harvey on White Chalk (2007). 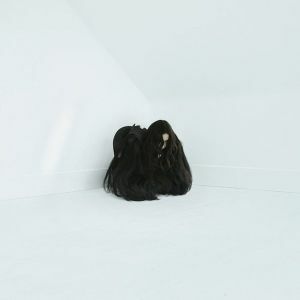 I seems unfair to compare Hiss Spun with 2015’s Abyss which, to popular belief, is a Chelsea Wolfe essential. Hiss Spun is more eclectic, thus keeping listeners on the edge of their seat. It’s exactly that feeling which makes Hiss Spun outstanding. Wolfe constantly keeps challenging us by mingling gothic, folk, doom, drone, darkwave and brings it above ground. So frankly there is no doubt that Hiss Spun rightfully belongs to the most exciting albums of 2017. This entry was posted in WRM and tagged 2017, Aaron Turner, Ben Chisholm, Chelsea Wolfe, Christmas, Converge, Dax Riggs, distortion, Drone, folk, gothic, haunting, heavy metal, Hiss Spun, industrial, Kurt Ballou, PJ Harvey, review, Sargent House, Say Goodnight To the World, sludge metal, Unknown Room, We Sing of Only Blood or Love, White Chalk. Bookmark the permalink. ← Noel Gallagher’s High Flying Birds – Who Built The Moon?